As a wife and mother, my son and daughter are my muses (ages 8 and 11). They are my favorite subjects, my sweetest inspiration and by far, my greatest accomplishment in this life. My husband is an amazing Dad and incredibly supportive husband. These three humans + our two puppies are my whole world, and they complete me. 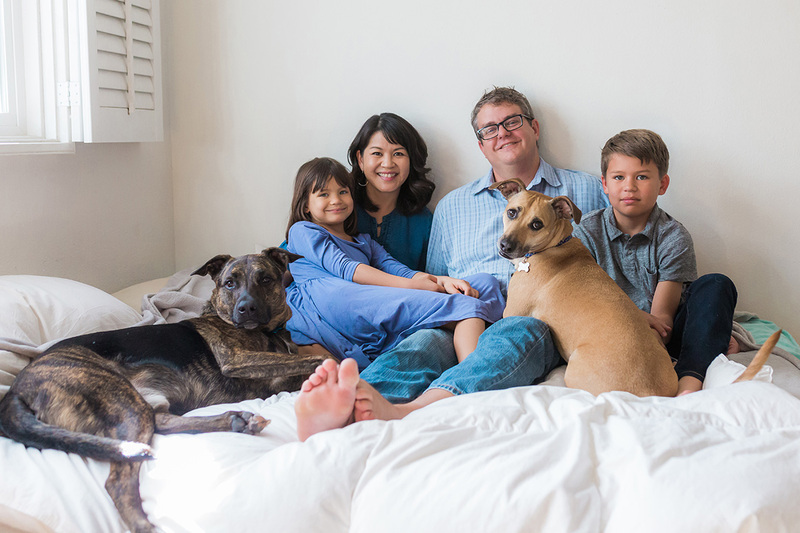 Meet my sweet family (rescue puppies included) in this amazing video created by my friend Sean Fresh, which encompasses what I hold most dear to my heart. My goal as a photographer is to capture the connection between you and your loved ones. I value emotion, light, and movement. Sun-kissed, fun, artistic, and dreamy – these words best describe the style of imagery I create. I never settle for average. I seek to capture beautiful and dynamic light, authenticity, and magic moments. I thrive on documenting the unforgettable stories and the remarkable love of San Diego families in a fresh and relaxed way. Time is fleeting and little ones grow too fast. It is my passion to capture the beauty of your life in a frame by bringing into focus what is really precious in this short yet sweet life. I am committed to preserving memories that can be seen, touched, and felt, every day as you relive them on your walls, in your hands, and in your heart. I appreciate that you’re here reading about me. I am based in San Diego, but I love to travel. Please use my contact form or email rachelmanningphotography@gmail.com to get in touch. If you would like an outstanding custom photography experience and want authentic images of your family in beautiful light printed for your home, I would love to hear from you. It would be such an honor to help you freeze time and tell your story. P.S. A few fun facts about me personally. I think dogs are the greatest creatures on this earth and I have a huge soft spot for rescue dogs. I also love the outdoors, sunshine, succulents, being in the water, planning getaways and road trips, chocolate, and tennis.